With successful programs in Miami, Detroit, and Memphis, and the Bronx, Project Destined exposes scholars to all aspects of real estate investment. Multifamily real estate investment firm Cortland is teaming up with Project Destined to launch the "Atlanta Ideas Challenge," which will give underserved students in metro Atlanta an opportunity to learn the ins and outs of real estate. The students will begin the challenge on November 3rd with a tour of the Battery Atlanta, a $700 million residential, office, retail and entertainment hub surrounding the Atlanta Braves’ SunTrust Park. The students will use what they see and learn to reimagine how a similar concept could work in underserved areas along the Atlanta BeltLine. Student teams will then present their ideas in a Shark Tank-style panel to Cortland real estate executives and Project Destined mentors at Cortland at the Battery Atlanta, the 531-unit apartment community at Battery Atlanta. With successful programs in Miami, Detroit, and Memphis, and the Bronx, Project Destined exposes students to all aspects of real estate investment. To date, 150 students have gone through the program and participants have won more than $75,000 in scholarships. 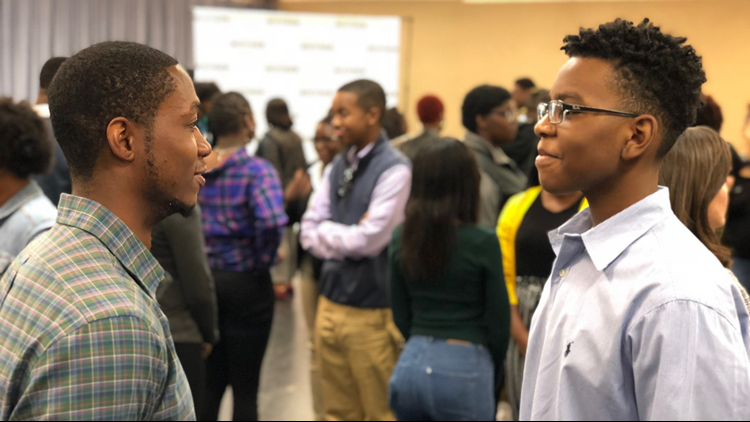 In Atlanta, 60 students have been selected for the program from local high schools and colleges, including Banneker High School, Tri-Cities High School, Langston Hughes High School, Frederick Douglass High School, Henry W. Grady High School, Morehouse, Spelman and Georgia Tech. Cortland representatives and mentors from Harvard Business School, Emory University's Goizueta Business School, and the Terry College of Business at the University of Georgia will lead monthly sessions, which will include a deep dive into architecture and construction, finance and deal structuring, and operations and property management.